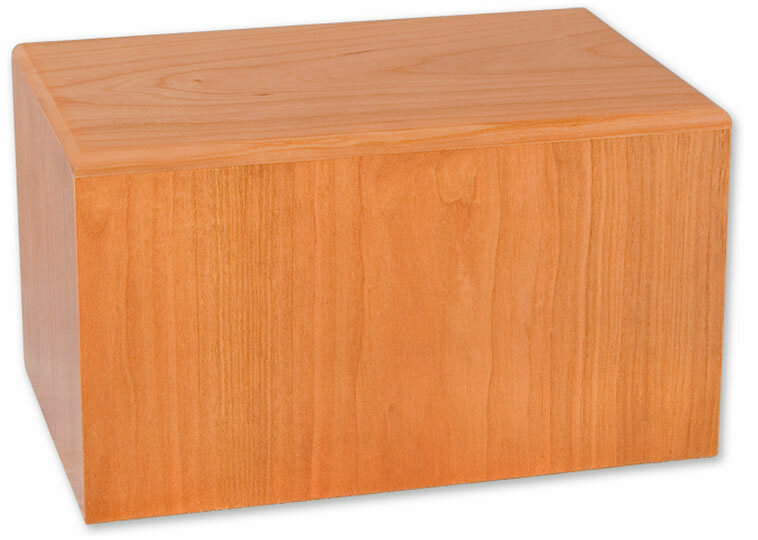 The Simplicity Cherry Cremation Urn is made in the Pacific Northwest. Designed from furniture grade hardwood plywood with 1/8 inch cherry veneer, this affordable urn has the look of a solid wood urn. Cremains are easily loaded through a bottom opening panel attached with screws. As with all urns, it is important that the cremains be kept in a sealed plastic bag inside the urn. This urn can accommodate the plastic temporary cremains container (TCC) that measures no more than 4 1/2" x 6 1/2" x 8 1/2". 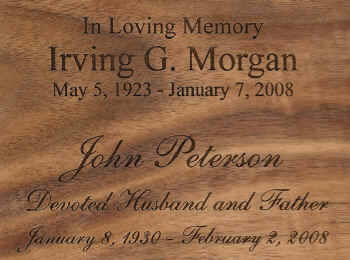 Engraving is available on the front of the urn or top of the urn. Please limit engraving to no more than 35 spaces per line. Check engraving information to be sure spelling, punctuation, capitalization, and dates are correct. Engraving will be done exactly as submitted. Urn holds approximately 200 cubic inches.